Changed out the pressure reservoir...problem solved! I had the same warning light couple of weeks ago, took car in for other service and to have this corrected. Finding was, as I was told, car needed a software "update" which they did and it corrected the problem (no charge). They also said if the problem would have involved a malfunction of the SBC Pump, they would have replaced the pump/system for free as it has a lifetime warranty from MB. Good luck. I got the visit workshop brake light, took it to the dealer SBC pump will be replaced! Its past it's operating life I was told. Not lifetime, but a 10 year warranty. i took it to my local dealer , they make a report for SBC Unit and sent and email for the same to the Factory and the factory asked the dealer to replace the SBC unit free of charge "Cost on the factory"
but am having a question , what if i had faced the same problem in the future , they will change it for free for me again or they may not approve it ?? Earlier this evening I was driving my 2003, S500 and the cluster computer came up with this message “ Brake System, BRAKE Stop, Call Service” followed by the ABS sign lit up. Then the message “Malfunction ESP visit workshop” popped up. The brakes are working fine but I noticed that the steering wheel was getting tighter to maneuver. It had the smoothest steering wheel I have ever used and now this. 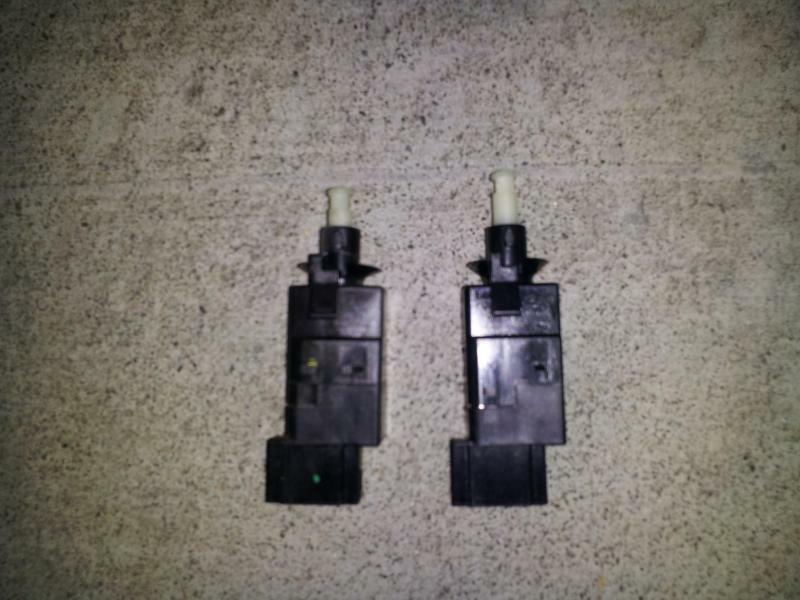 A dealer says it might be the brake switch that is faulty which is to bee determined. But however why is the steering wheel suddenly tight?? The cluster computer was replaced about 3 weeks ago and the message “tire pressure sensors are not functioning , drive to workshop” popped almost immediately as I drove out of the service station. A friend kinda fixed it and it didn’t do much as the message popped up again last evening. Now this…!!! Guys…. Anyone…. Please help !!!!!!!!! Before I have to visit the Merc Dealership, is there something I can do prior??? Anyone???? so if you get this message and your keyless go wont work and hard to get out of park is the key to identify this problem? if everything works then it is probably just your pads/rotors correct? Just got the Service Brake - Visit Workshop message on FSS+ last night. No malfunction lights on the dash. Checked pads a couple of weeks ago and there is still plenty of pad on all 4 corners. Will try changing the switch first. Last edited by spinn; 11-07-2011 at 07:38 PM. Well, just changed it and the message was still there. I didn't have a chance to drive around the block, but will do so in a little bit to see if anything changes. The old switch did look used compared to the new one, so I did have high hopes it would work. Will check with my indy to see if he can clear the warning or it may just require the stealer changing out the SBC unit. Can someone tell me what is the message that shows up if the brake sensor has been triggered? I know my brake pads still looked good, so it shouldn't be that. Edit - driving around didn't reset the message. Last edited by spinn; 11-12-2011 at 10:23 AM. Got an appt w/MB in the morning. Described my symptoms to the Service Advisor and indicated I already changed the brake light switch, checked the pads and sensor, and that no other message or warning (brake pad sensor is different...unclip sensor to find out) is coming up. He thinks it's probably the SBC. I've got 90.5K on mine, so maybe it's just time for it to be replaced. I think this topic should not be stickied because it's very inaccurate. A large portion of people have this message and, like me, the switch isn't the issue. Dealer diagnosed the SBC as being faulty. Replaced and covered til 2014. I would have to agree that the topic is hit or miss with the brake switch being the answer. I replaced the brake switch by myself, problem with Keyless Go solved, the BRAKES message is gone and I spend $15 instead of few hundreds. GT-ER - I just received the same brake diagnosis and estimate ($1,400+) as you for replacement of the pressure reservoir. How expensive/difficult is it to switch out as a DIY job? Also the Brake Switch Replacement is a complete hit or miss, however worth trying as it is a $10 part, however if you have esp issues and other things to go on with the malfunction then the switch has nothing to do with it, Your lookn at the SBC. According to EPC, the part# you were given was replaced 1st by A0054319612 and 2nd by A0084313812. Parts.com has the 1st # listed for $834. ; 2nd # is not listed. You also need Ground Wire (#A2114403508) to go with 2nd #; parts.com has it for $4.44. I'm no expert of EPC though, so take that for what it's worth. Thanks Spinn, very helpful, i knew he gave me the wrong part. I am to get the newest one, unfortunately it will probably have to be through the stealership as i cannot find it for the life of me online. Or could i get away with getting the 1st replacement? Quick question. I have a 2006 e350, 46,000 miles, original brakes. My local mechanic says pads are almost ready for replacement. He just purchased the computer module needed to replace pads with SBC. Question is, if I have him do the brake job, does that void the 10 yr/100,000 mile warranty? Thanks. @fbsdmd: I wold get a second or even a third opinion about the brake pads in. I went to a dealership of my choice once and they told me they were down to like nothing and that it would ruin the rotors etc. pp. i said I'm gonna wait on the brakes b/c the sensor hasn't triggered. I know the sensors fail sometimes, so don't rely 100 % on them. Fact was after I asked around in 2 more places, I'm still good. As a matter of fact, I drove another 26k miles before the sensor triggered, and yes, the rotors weren't damaged (of course). This is just my personal experience so take it what it's worth but I thought I would share it and perhaps help others to save money on unnecessary maintenance work. Thanks for the advice Mackhack-There is in fact no indication yet that I need brakes, other than the opinion from my mechanic that it looks like less than 25% left on the front. I have used this shop for many years, and trust them. My inclination would be to let them do the brakes when the indicator comes on, but it would be just my luck to have the SBC pump go belly up right after I did the brakes, and find MB wouldn't cover replacement. As i said before the Brake Pad has nothing to do with the SBC unit, to answer your question it does not void the warranty on the pump, the only things taken into consideration as for them replacing the pump for free is that you did have the brake fluid changed on the scheduled services, even without that ive heard of cases where people still got the sbc done under warranty. If you need brakes pads get them changed do not worry that this will affect the Sbc at all as it is not something considered when SBC is replaced. Last edited by Krazyukrainian; 12-19-2011 at 03:04 PM. Thanks-I have had the brake fluid changed on schedule. Will wait until the sensors make contact for pad replacement.